2015 - 2018: Mohini Visions was taking care of the technical maintenance. From 2018 the secretariat of the association took it over. 2015: Megalithic Routes is a young association (2012). The members decided that visibility needed to be increased. In order to connect all members of Megalithic Routes and make it clear that they all are part of the same organisation we created shields (26 x 20 cm) members place by their public entrances. 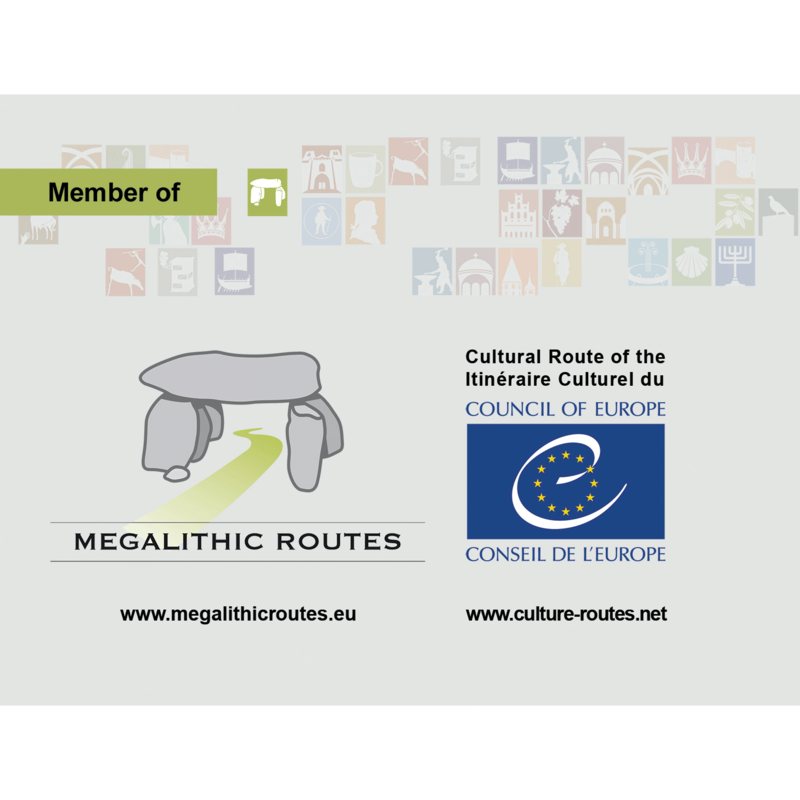 With the logo of the Megalithic Routes and the logo of European Cultural Routes of the Council of Europe and a creative set of the logos of the other Cultural Routes of Europa it makes a playful design. Early 2015 we started with a new project, preparing a website and marketing advice for "Megalithic Routes e.V.". This association has members in The Netherlands, Germany, Denmark, Sweden and the UK. They want to get more professional and asked us to help them out. 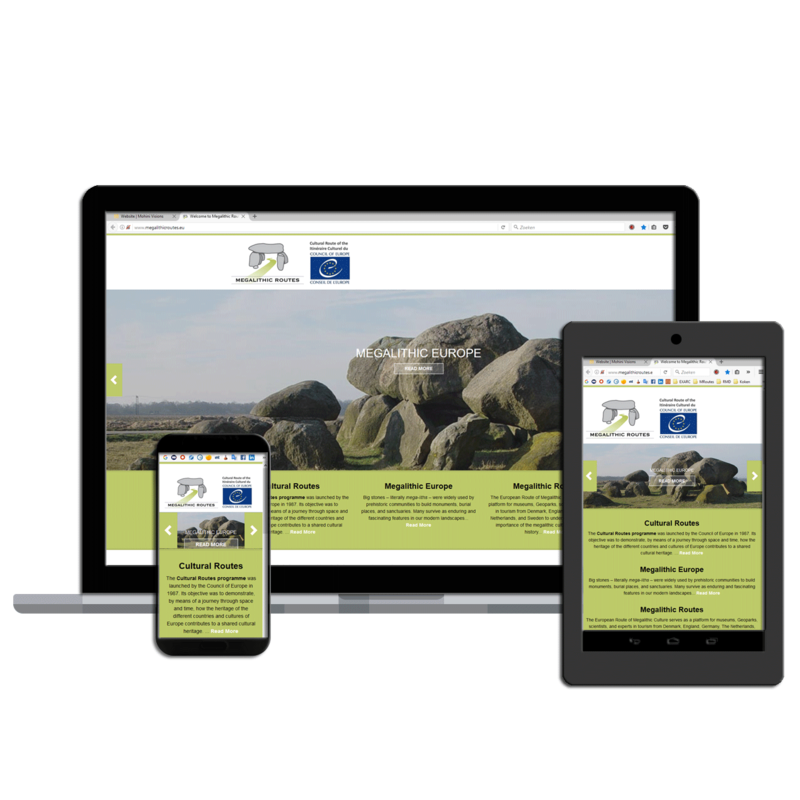 At a conference at Borger, NL (end February 2015) we also gave an extensive presentation on marketing, PR, products and Social Media, all in connection with the new website, using the phrase: "a website alone will not work".